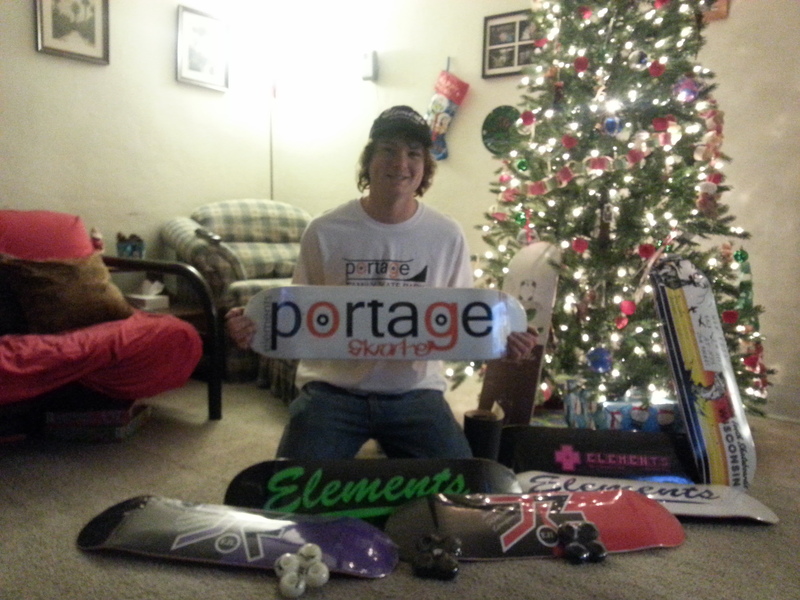 Christmas came early for the Portage Family Skate Park project (PFSP) this year. The holidays typically bring surprises, and the plans of skateboarder Brandon Hanson and PFSP President Kyle Little’s were one of those. With the ring of a doorbell, Kyle was delighted to find Brandon, gifts and donations in hand, at his doorstep. Sponsored by Elements Boardshop in Wisconsin Dells, Brandon came bearing wheels grips and one-of-a-kind decks, autographed by Brandon Hanson himself. Along with these gifts came the greatest gift of all- hope. Hope of dreams coming true for the community of Portage. Although physical items can never buy happiness, they can be used for raffles, for thank yous and for upcoming fundraising events for the Portage Family Skate Park. It is very apparent that the giving spirit is abundant this time of year. Some say this is the time of year where miracles can happen. We all know that anything is possible, and because of people like Brandon and Elements Boardshop, the hope so many have is drawing closer. If I could have a gift this year, I know what I would want. First, of course, is for the happiness of my family. But also, I would wish for this community, and Kyle, a skate park, with a huge, crimson red, velvet bow right on the top of one of the ramps. It is, after all, a family skate park, and a dream of Kyle’s for years. But I can’t grant wishes. Despite that, “Little” by “Little,” we are getting there. I do believe in miracles, and I do believe in hope. 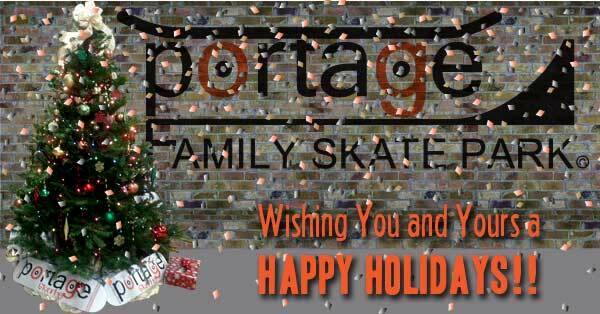 We at the Portage Family Skate Park project wish you all the best this holiday season. No matter how you celebrate, or what you celebrate, this time of year is for reflection and gratitude. As we reflect, we are grateful for every individual who has contributed towards the PFSP. “A person’s a person, no matter how small,” (Dr. Suess) we thank our supporters, we say thank you to all. Regardless of the time of year, we know perseverance pays off. We will get this skate park. It is because of the City of Portage, Kiwanis, good old-fashioned stubbornness, our sponsors, supporters and donations that this dream will come true. Those who do want to help, no matter how small, can help in many ways. Support us by talking about it. Support it by writing letters of support to the paper. “Like” PFSP online. Portage wants this. That has been undeniable demonstrated by the support we have. Let’s make it happen.